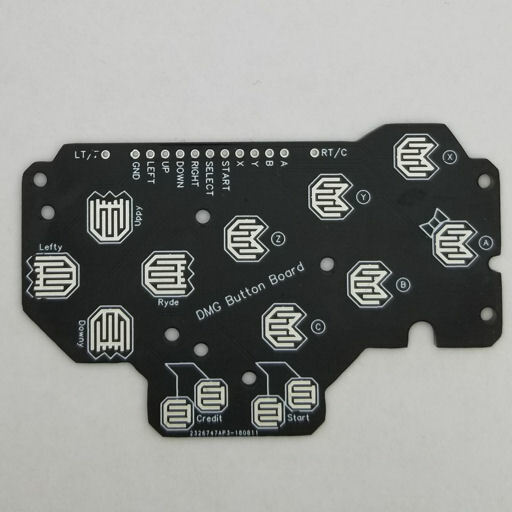 The wiring pads at the top align with the pads on the GPIO Assist boards, but can be wired directly to your Pi's GPIO pins or a microcontroller just like any common ground button board. The rear side of the board also features some traces which can simplify the wiring of your audio components. 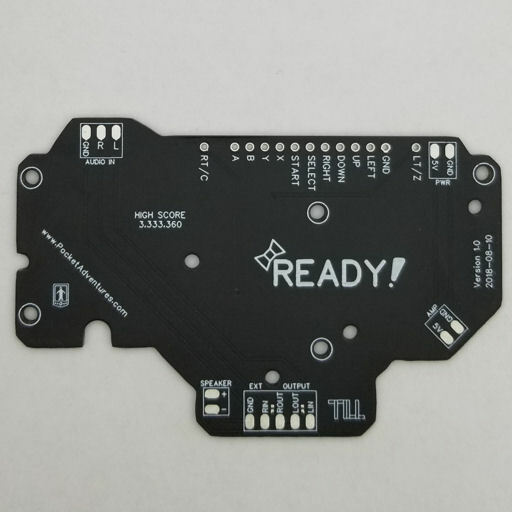 This board is functionally equivalent to the Red DMG Button Board. The only difference is color.